There are new wedding trends every year. Long gone are the days of the “traditional” wedding ceremony and reception. Brides and grooms all over are throwing away the rule books and opting instead of for unique, personalized wedding days that truly celebrate their love, relationship and personalities. One tradition that remains is the desire to have professional, high-quality photos to make sure you remember details the best day of your life forever. The good news is that, right now, these latest trends in personalized weddings also offer a lot of opportunity for unique, memorable photos that are both fun and beautiful. Check out some of the new wedding trends below. 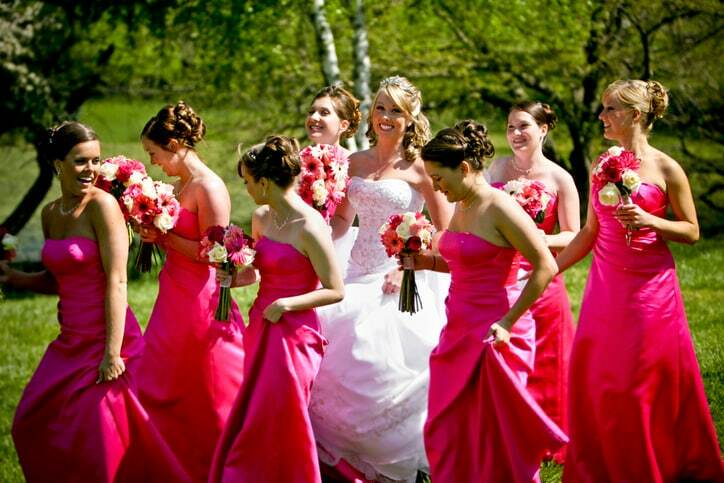 Sparkles are “in” for bridesmaids and bridal parties. Glittery sequins and beading or shimmering metallic fabrics draw attention where it belongs: on your gorgeous group of best friends and family members. And in a sea of glint and glimmer, a bride in a white dress is sure to stand out. Bold color is back! Pantone led the way – with a bright green shade worthy of the best mother nature has to offer named “color of the year,” 2017 saw the return to wedding themes filled with saturated color – and lots of it! From bridal party attire to invitations to table settings to the aisle runner, bold colors stand out in photos and provide great contrast. Adding some bold uplighting brings some pops of color and ensures your photos, even the candid shots, have perfect lighting! The not so new but still gaining for new wedding trends is the Rustic wedding (especially for a fall wedding). Not every bride and groom feel comfortable in a formal ballroom with flawless hair and makeup and a black-tie setting. 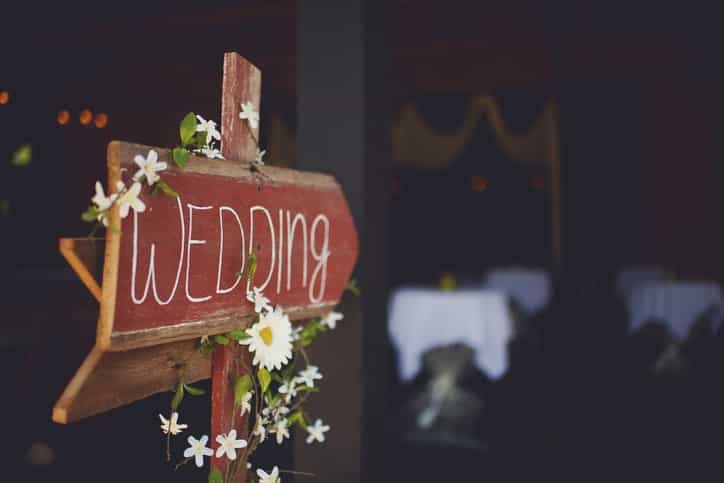 Many couples are sticking to their roots and opting for more natural settings – gardens, barns, forests, even summer camps are becoming popular settings for a beautiful, natural wedding. 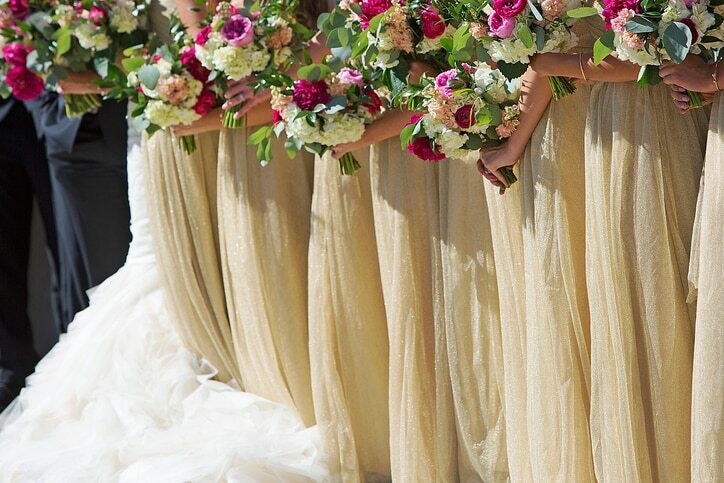 Flowy, breezy dresses, khakis and cowboy boots are taking over wedding style. Vintage styles and decor are more popular than ever, and add a touch of casual elegance to the whole affair. Can’t get on board with a formal sit-down dinner? 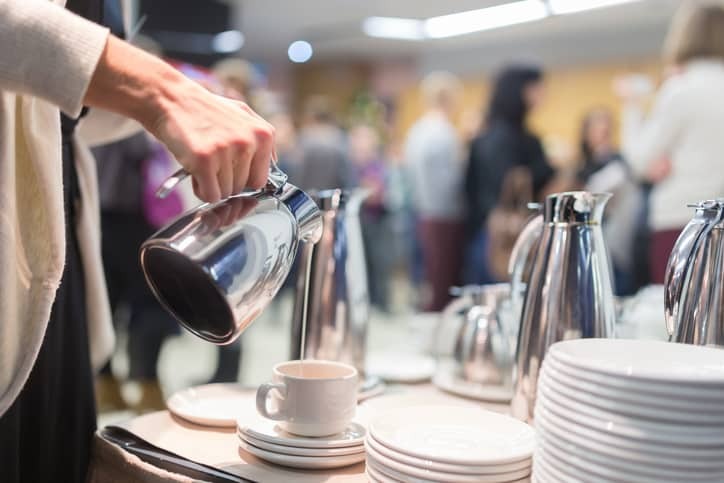 Not feeling the wastefulness of buffets? Food trucks have changed the way we dine, and they’re making their way into the wedding market as a fun, interactive way for you and your guests to dine on, say, your favorite tacos or local burger joint. Other options? Curated food stations, especially during cocktail hour, or family-style sit-down dinners (did you know that serving meals family-style leads to the less food waste?). Get creative, and make the meal a fun experience for you and your guests! Some people love dancing the night away at weddings, but others prefer a more casual approach to entertainment. 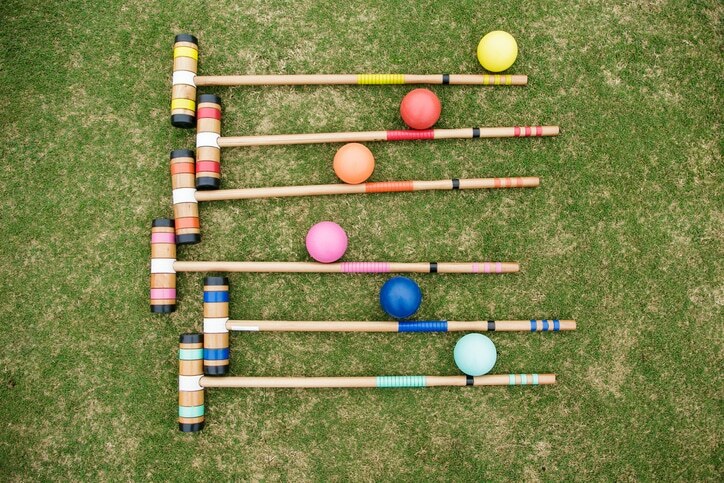 From lawn games like croquet and Kan Jam to table games like Mad Libs to interactive, group games like board games or bride and groom trivia, wedding receptions have gotten a lot more fun – and provide interesting, memorable candid opportunities for your photographer and videographer. We already treat our pets as family. 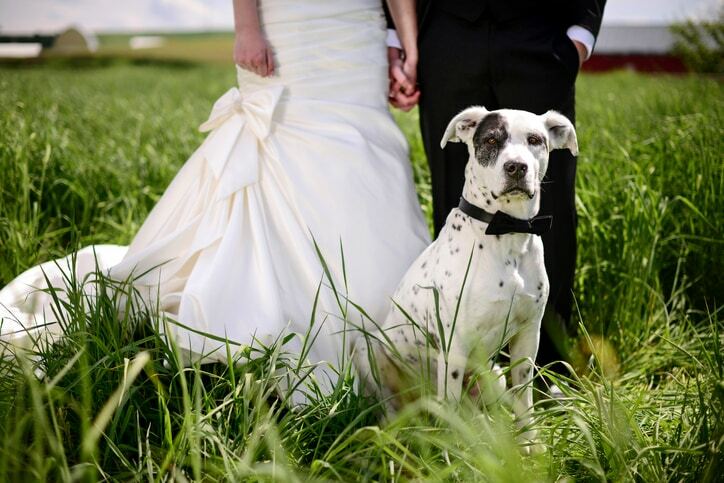 Include yours in your wedding – and encourage your guests to bring their own crowd-friendly pets along. After all, how can it be the best day of your life without your furry best friend wagging his tail in your photos and celebrating alongside you? 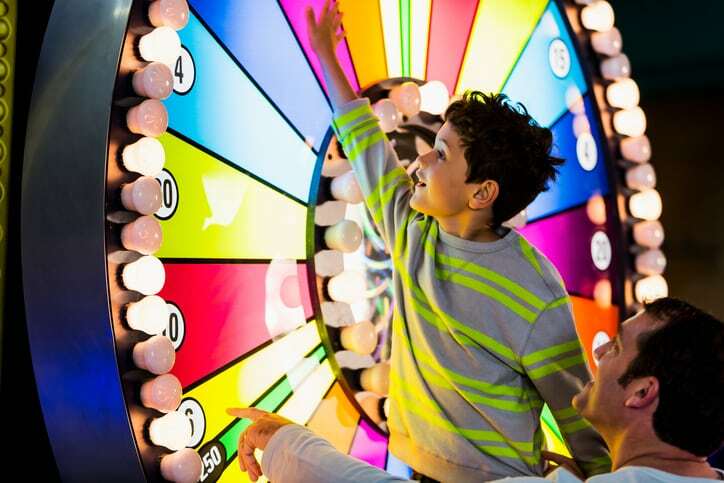 Giant, spinnable wheel for your guests to enjoy. And picking the actions lets you be as creative or traditional as you want. Kiss your date. Chug your drink. Tell the groom something you love about the bride. Bride and groom kiss. Bust a move. The options are endless, and your guests will love it. Silent disco. Instead of speakers, guests wear headphones to hear the DJ. Extreme entertainment. Hire an aerialist. Or a gospel choir. Or a magician. When it comes to your wedding day, the most important traditions to follow are the ones you care about. Otherwise, it’s great to think outside the box and come up with some unique ideas and activities that you and your guests will never forget! And don’t forget – if you plan something special, make sure you tell your photographer and videographer about it ahead of time so we can be sure to capture those moments! 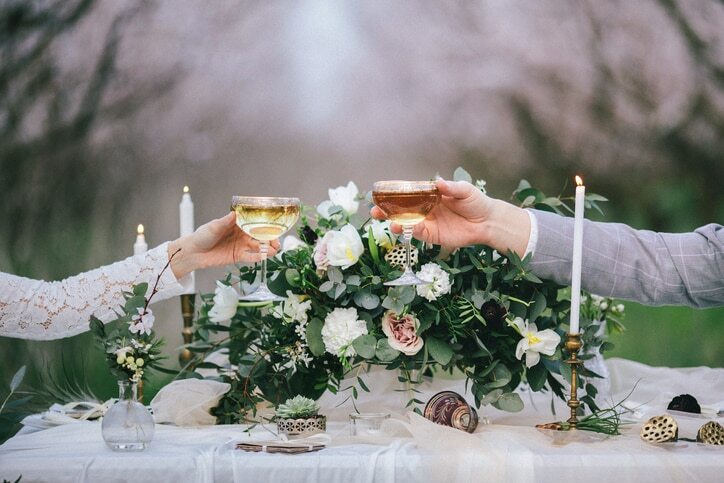 What’s your thoughts on these new wedding trends?